Steelhead- A handful of folks have been out hunting for their needle in a haystack on various "home" waters. So far catch numbers have been low, but we've been hearing of a couple hot fish hooked and lost. While I'm not exactly a numbers guy when it comes to steelhead, I have noticed the Bonneville counts have a decent number of wild fish that have passed over so far and we are closer to the 10-year average (which is heavily skewed from the historical average anyways). The Klickitat River opened up last week and it's been a slow start. The river has been running low and relatively clear since the opener, which leaves the few steelhead in there to hunker down into the deeper salmon water. If we get a little bit of color or better yet a spike in flows, that will push some fish around and catch rates should jump up a little bit. Nevertheless, it's nice to see an old friend and I was out floating a couple days ago in some beautiful weather. If venturing out, be mindful of private property and especially on the South end of the river as locals are fairly territorial- I even got yelled at for just stopping briefly at a run that was allegedly private, though no signs were posted, and turns out the gentleman didn't own the property anyways. The lesson learned is to just be mindful and know the boundary lines. Politeness goes a long way if you're ever trying to access tricky spots, and I certainly like to keep a couple hard to access spots in my back pocket when water gets crowded. A underutilized method for summer steelhead I believe is the dry fly. Dead drifted, grease lined, riffle hitched, waked/skated, twitched, chugged, or down in the surface film. If you've caught a few steelhead before but never on a dry fly, I can't recommend it enough! 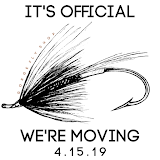 Indeed, a couple anglers will tie on a dry to work a quick run and after no avail will quickly swap back to a wet fly and maybe a sink tip for the rest of the day. The reality is if you fished dries as often as you're wets, half the fish you get will on the dries. In fact on some of the waters I fish I find more summer steelhead show themselves to the dryfly than a well presented wet. Some will say the surface attack is like crack... 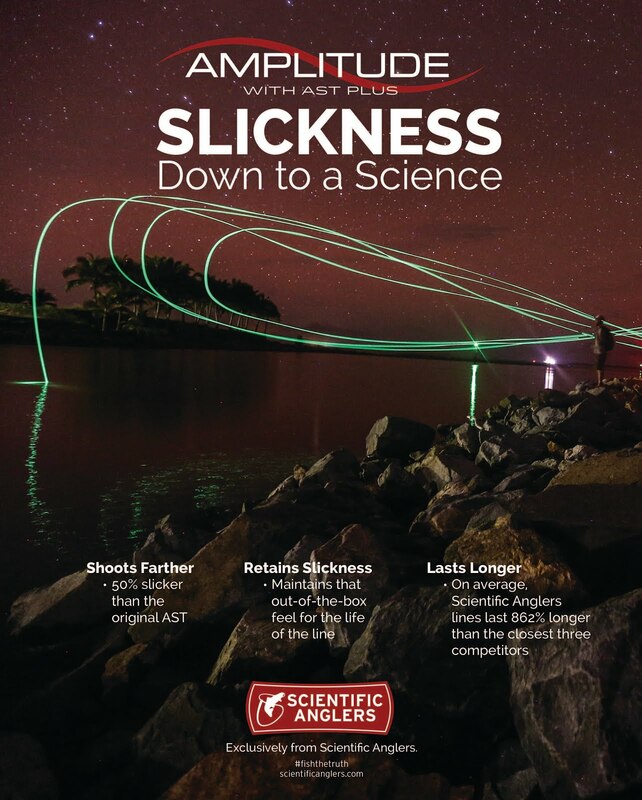 While I can't speak from experience on that, I will say watching top water disturbances is fully addicting! A favorite perch to watch summer-run steelhead rise to skated flies. Trout- The fishing has been fantastic lately! While many of the big bugs on the Deschutes have simmered down, there are some that are still out. If you're needing to toss big Salmon/Stoneflies focus some of your attention up higher on the river as the hatch migrates upstream. Just because the big bugs have dwindled doesn't mean that the dry fly fishing is over yet! Currently, Yellow Sallies (a smaller stonefly) have been fishing very well, lots of Pale Morning/Evening Duns are out, and Caddis flies are rounding out the dry fly action. Sub-surface a lot of stuff will work, though this time of the year Hares Ear Nymphs, and emerging caddis in the evening are some of my favorites. The lakes around Hood are a great place to spend a hot day cooling off on the water! Lake fishing has also been excellent lately. On hot summer days, heading up to a lake is a favorite way of mine to cool down. I haven't really seen the big push of Carpenter Ants but rather just a few here and there. Callibaetis cripplers and leech patterns seem to be a go-to of mine, though I've found some of the trout aren't too particular up in the lakes as they have a limited food season- often a Purple Parachute Adams or Caddis fly works great for me up there. Warmwater species- The John Day River has been great place to explore smallmouth bass fishing and a wonderful place to take somebody out for their first time. If you're not having a good time on the JD fishing for smallies, something's wrong... Top water stuff works great out there, however my favorite pattern on the JD is really just a small dark Bead Head Hale Bopp Leech, or a natural colored muddler on the top. On the big river we've finally seen some levels drop- Friday was the first day in a couple weeks that I've actually seen water flowing out at the mouth of the Hood River and not backed up from the Columbia. The top water bite is about to be on for the Columbia, and best time of the day is usually nearer to the evening. Carp and Largemouth are also readily available in lots of the side lakes/ponds to the Columbia and can be a fun way to try something new.